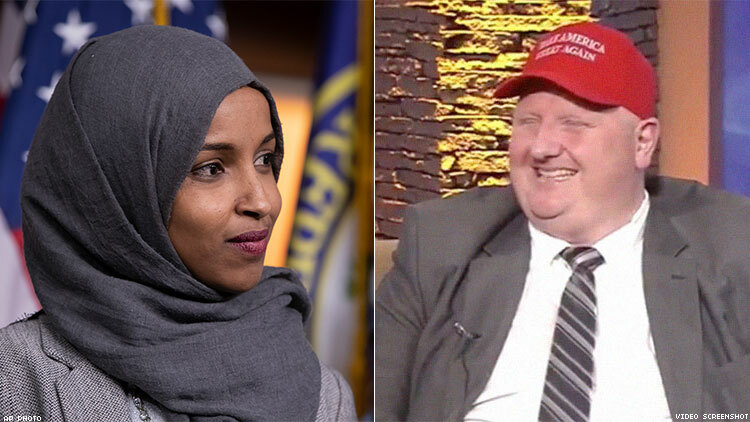 The events surrounding U.S. Representative Ilhan Omar and West Virginia Delegate Eric Porterfield are like reflections of each other in a funhouse mirror. Eric Porterfield is a Republican member of the West Virginia House of Delegates, representing the state’s 27th district since January of this year. He’s also a mess. He’s managed to do such a bad job in office that, only five weeks into his term, people are calling on him to resign. Perhaps most disturbing of all, he told WVVA journalist Rachel Anderson that if his son or daughter ever came out to him, he’d see if they “could swim.” Anderson pressed him to unpack what that meant, but Porterfield declined to do so. Eventually, he said, “I just wanna make sure they can swim,” but the troubling implication that he’d drown his kids if he found out they were gay rings loud and clear to anyone who cares to listen. Republicans have denounced Porterfield, and state Democrats have called on him to resign for spouting such garbage, NBC News reports. He absolutely should. In five weeks, he’s shown himself to be unfit to serve the people in his district, especially those who are LGBTQ+. Many Democrats have denounced Omar, including House Speaker Nancy Pelosi, and President Donald Trump called for her resignation Tuesday, NPR reports. But unlike Porterfield, she shouldn’t resign. Omar never used her bully pulpit to terrorize a marginalized group. She never supported legislation that would further marginalize said marginalized group. Porterfield is trying to hurt people. Omar’s trying to hurt lobbying groups — which, for the record, are not people. As a black, Muslim woman, Omar’s perceived wrongs will always be more visible than the actual wrongs committed by a white, Christian man like Porterfield, but that increased scrutiny doesn’t make these perceived wrongs any less fabricated.